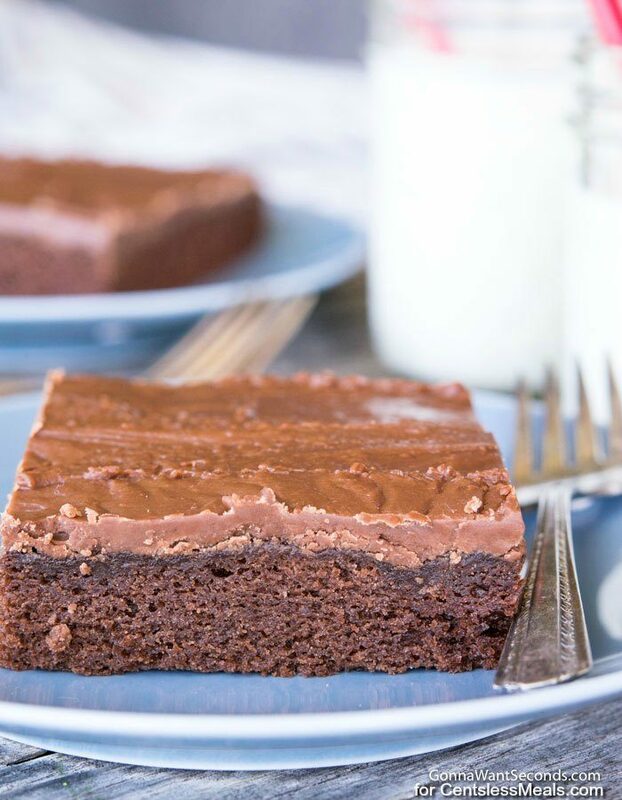 Texas Sheet Cake, a cross between your grandma’s chocolate cake and a decadent brownie, will leave no sweet tooth unsatisfied. Pin it to your CAKE BOARD to save it for later! The cocoa factor is “light” compared to your average bake-sale favorite but equally as rich thanks to a cooked, fudgy icing. The “cake” is baked in a jelly roll pan so the time between baking and indulging is significantly less than your average three-layer confection. No need to get things to room temperature, dirty a bunch of bowls, or waste an hour waiting on something to bake just so you can wait some more before frosting. 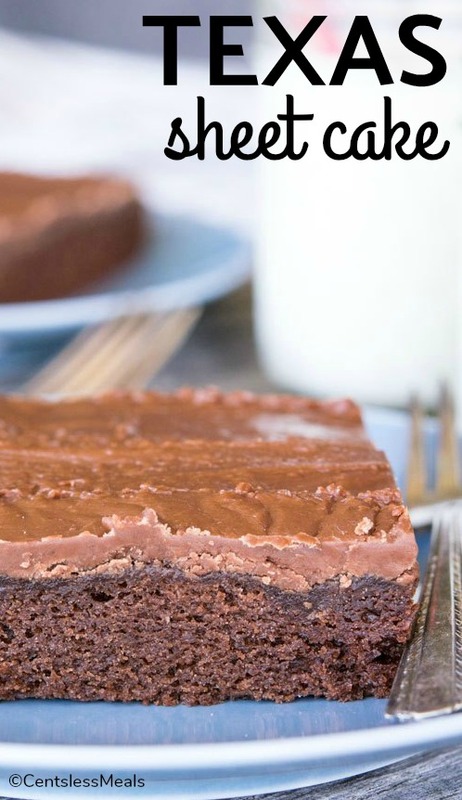 In short, Texas Sheet Cake is everything you ever wanted in a decadent, chocolate dessert. 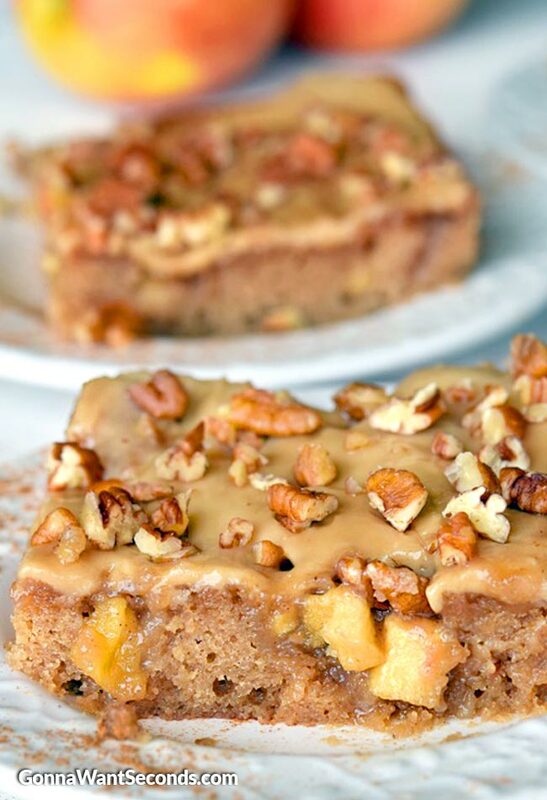 WHY IS TEXAS SHEET CAKE CALLED TEXAS SHEET CAKE? 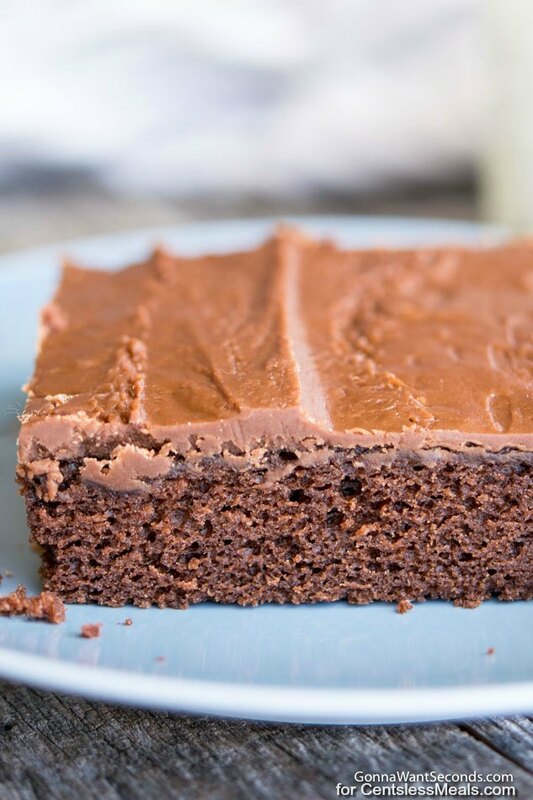 No one really knows how the Texas Sheet Cake got its name. Honestly, they’re not even sure it originated in the Lone Star State, but there’s little arguing that it’s a monster-sized sweet treat, and everything is bigger in Texas. 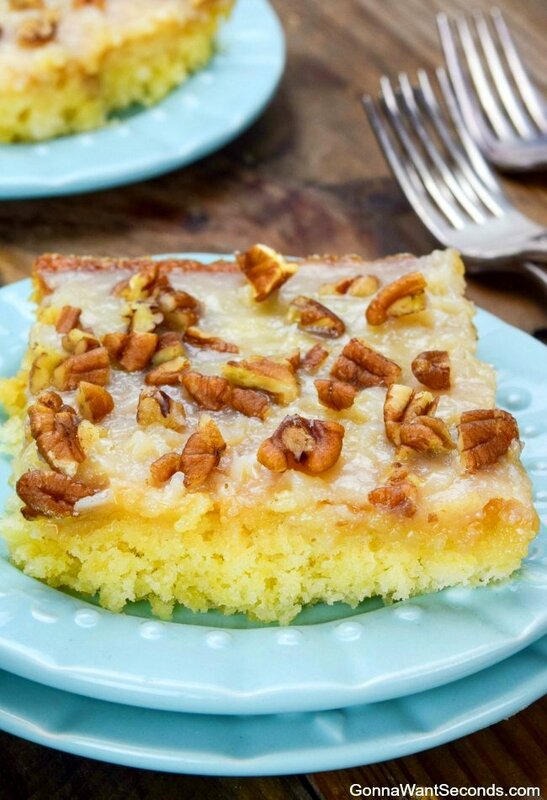 Some ingredients are common and help you identify a classic Texas Sheet Cake when you see one: plenty of butter (or margarine, depending on whose hand-me-down recipe you’re using), buttermilk (though a sour cream substitute is a recent adaptation), and the large baking apparatus that produces a cake merely one-inch high. Although it may be short in stature, this cake is plenty big on flavor! 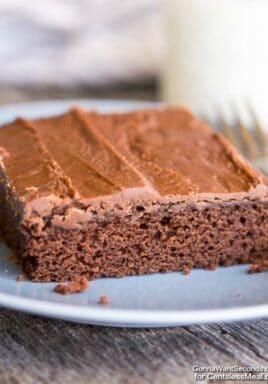 It’s no secret I loooove chocolate, so I actually bump up the flavor in both the cake and the sweet, fudge-like icing by adding a little instant coffee. The common bitter, slightly fruity qualities of coffee and chocolate work really well together, and this trick means I can add more chocolatey goodness without changing the texture by adding more cocoa powder. By the way, if you choose to substitute espresso powder here instead of instant coffee you should use a little more than the recipe calls for. Espresso powder is made from grounds that have already been brewed, so they lack some of the oomph the unprocessed coffee grounds do. 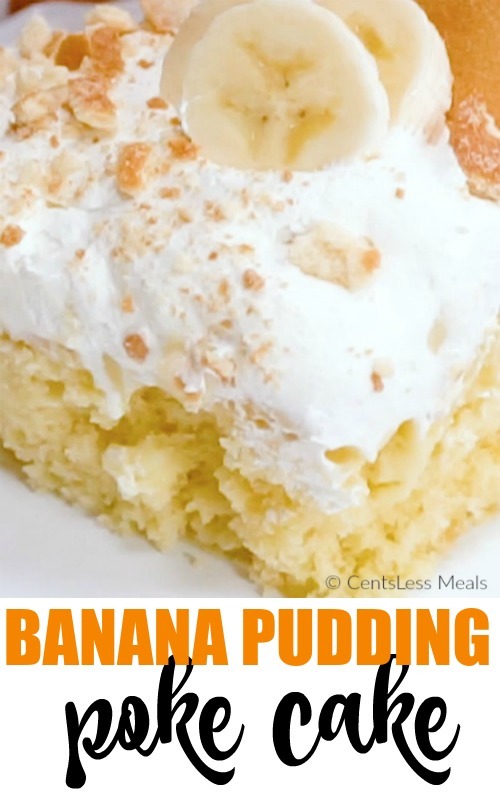 The icing gets poured onto the cake while they’re both still warm, so they really fuse together in a tasty way. 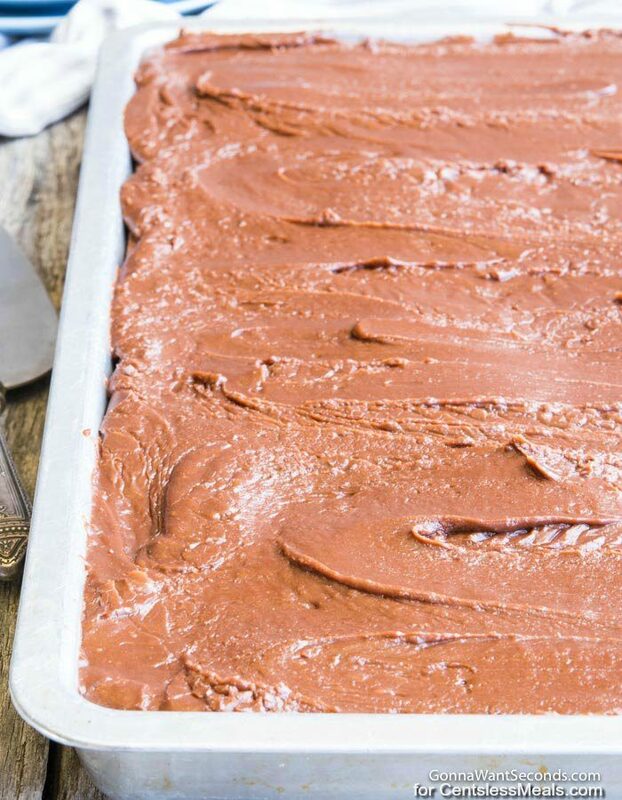 The icing that rests on top, though, has the lovely texture and creamy quality of a gooey, soft fudge. I like to leave a spoonful in the pan just for me (after the cake’s sufficiently iced, of course) to get my palate ready for the chocolatey assault that’s coming. Feel free to add a cup of toasted, chopped pecans to the icing before pouring it over the cake for a little Texas-approved crunch! HOW MANY SERVINGS ARE IN A FULL SHEET CAKE? An actual full sheet cake is typically 18” x 24” x 2” and will serve approximately 70 – 80 people. A full Texas Sheet Cake (which is roughly the length and width of a baker’s half sheet cake) will only serve about 16– 2o people since it’s only half the height of its namesake cake. Let’s be honest, though, the number of servings totally depends on how big you like your pieces of Texas Sheet Cake and just how many people you’re forced to share it with. It’s so quick to put together that it will become your go-to treat when you do have to share it, though. 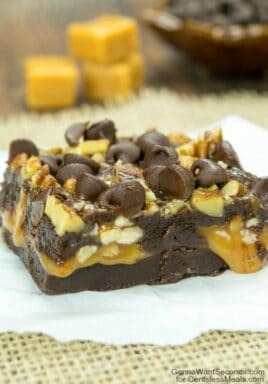 I hope you love this decadent recipe as much as I do! Melt butter in a large saucepan, then add coffee and 5 tablespoons of cocoa. Once the mixture comes to a boil, move it off the heat and gently stir in dry ingredients. 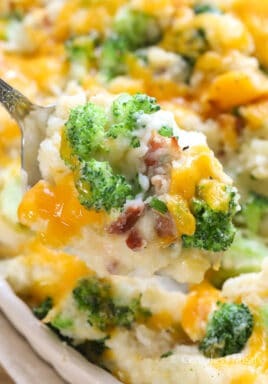 Fold in sour cream, then add eggs and vanilla, stirring until combined. 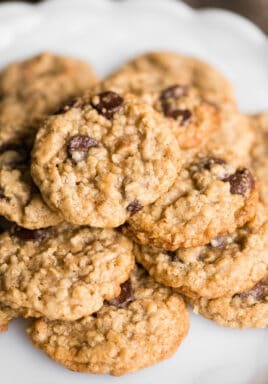 Pour batter into a lightly greased 10”x 15” pan and bake 18-22 minutes. When the cake is done, a toothpick inserted into the center will come out clean. Place cake on a cooling rack and prepare glaze. Melt 1/2 cup butter in a large saucepan. Stir in milk and cocoa. Bring mixture to a boil, then remove from the stovetop. Using a hand-mixer or whisk, add powdered sugar and mix until smooth. Stir in vanilla, then pour over the warm cake. Let the cake cool completely, then enjoy!